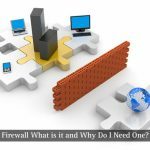 What does a Firewall do and Why do I Need One? The rate at which hackers operate these days is stunning. A question often that comes now in mind is how to prevent wifi hacking and if you are not careful it is only a matter of time before you are a victim. While a lot of people love connecting to the Internet through a wireless network because of how flexible and portable it can be it is often the most vulnerable kind of internet connection available online. As a wireless Internet user, it is very important for you to take necessary measures to protect your Internet connection while at the same time studying regularly to make sure you have increased knowledge on how wireless network works. 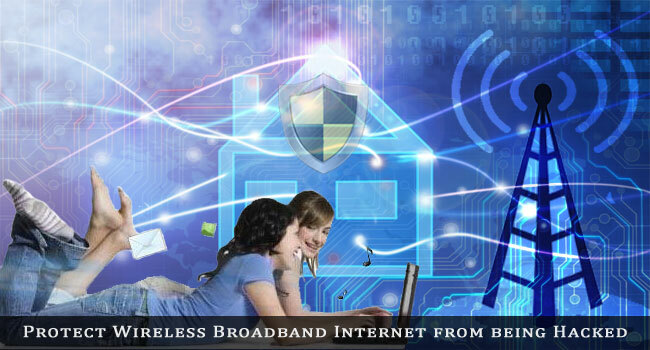 This article will be giving you a few tips to help you protect your wireless broadband Internet from being hacked. The first step you should take to protect your wireless network is to update your details regularly. These details can be anything from your password or wireless keys to your SSID. Hackers are always on the lookout for networks to hack, and in most cases they don’t just decide what to hack immediately – by changing your wireless network details regularly you will make it difficult for the hackers to keep track of your network and as a result make it impossible for them to hack you. While this is no guarantee that your network will be safe, it is still effective to some extent. The reality is that there are hackers these days who will easily find out your wireless network SSID even if you hide it, but a lot of them use advanced tools which most script kiddies might not have. Many times a WiFi tracker is also used. Hiding your SSID will to some extent, prevent your network from being discovered and as a result impossible to hack. Make sure you only reveal your wireless SSID to those you trust. Another step you can take to protect your wireless broadband network from being hacked is by updating your drivers regularly. These could be anything from your wireless network card or router drivers to your antivirus and firewall. This software and drivers are doing a lot to protect your network, but they also have their own bugs, which might have been fixed in an update – by updating your software packages regularly you will significantly reduce the chances of your network being hacked as a result of a bug in an outdated version. I know this is pretty obvious, but you will be amazed at how many people still ignore it. Make sure you change the default details that came with your wireless router and devices. These details include your SSID, your router name, your password, your router IP address and other default details. Make sure you change those details to what you alone can remember and also make sure you are always updating them regularly. By changing the default details, the hacker will think of how to hack PC if the default details are changing. In most cases, if you’re not sure of what the default details of your wireless router/devices are, you can easily read the manual that came with it, or use the Internet to get more details about it. So, these 4 ways are sure shot ways by which you can protect Wifi from being hacked. We have tested these four ways and found them very useful. Henceforth, before googling for how to prevent wifi hacking make sure you have tried and tested the tips we have disclosed. Let us know your views or suggestions in the comments. Got good information about wireless broadband security. hv one question i have TP-link router and want to add mac filter on it how could i do this? Can you please explain if possible? I am being hacked right now for no reason, can u help please? Please email us for details. We would be happy to help. Great post. It was very helpful. I transfer all type of sensitive information online & I really require a secure internet connection. Now I can feel more secure. Good article. Find it helpful for my online business. Thank You. Glad you liked it Mahaveer. The person took 3 of my accounts and put viruses in them, so I can’t play with them anymore and I think she’s using a lag switch to slow down my contention speed. Please help. Thanks for this great information. It helped me a lot because I was in a great trouble because of hackers. Now my wifi is secured :) Thanks again.